There is a public health parable, ‘The river story’, originally told by sociologist Irving Zola (cited in McKinlay). “Standing on the shore of the river I hear the cry of a drowning man, I go into the river to rescue him, pull him out and resuscitate him, just as he starts to breathe another call for help, I go in, pull them out and resuscitate them. These calls for help continue. Near exhaustion, it occurs to me that I’m so busy jumping in, pulling them to shore and applying artificial respiration that I have no time to see who is upstream pushing them all in..”¹. The story recognises that health is a continuum, determined by many factors. We cannot tackle ill-health only in a reactive response. It identifies that health promotion and prevention strategies need to be implemented to stop people from falling into the river, teaching them to swim if they do, and finally have services available to pull them out. The World Health Organization (WHO) describes health as ‘a state of complete physical, mental and social well-being and not merely the absence of disease or infirmity.’². It’s a common misconception that individual behaviours (drinking, smoking, poor food choices etc.) are the main cause of ill-health. Health is more complex and it is a combination of behavioural, biomedical and social factors that influence our wellbeing. 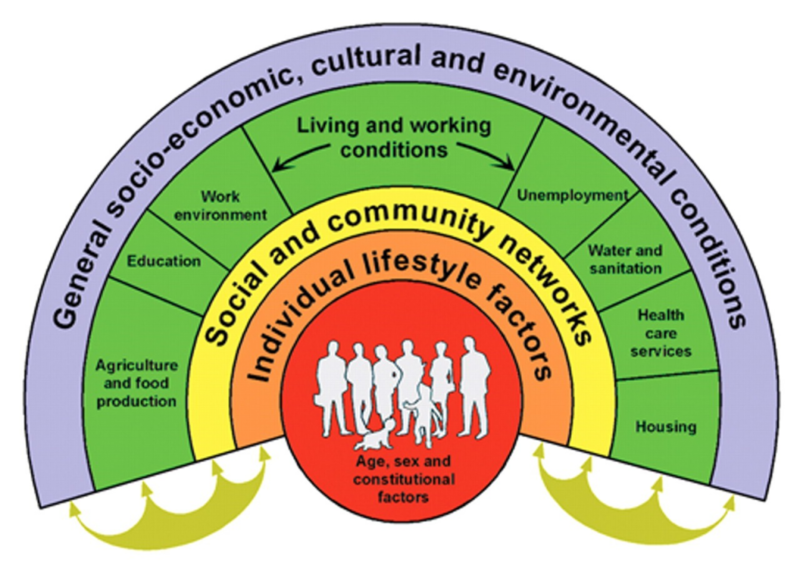 Under the social model of health, housing sits under the umbrella of general socioeconomic, cultural and environmental conditions as seen in Fig.1 below. The Australian Institute of Health and Wellness states: ‘There is a gradient in the relationship between health and quality of housing.’³. Often, however, the individual has little influence over the quality of their house. Shelter is and should be, an essential human requirement, and it should be a basic right to have one that is functional, maintainable, livable and healthy. Fig.1. A framework for determinants of health. ‘An architect has a fundamental and overriding obligation to serve and promote the public interest’ and ‘An architect has a responsibility, where possible, to contribute to the quality and sustainability of the natural and built environment and the health and safety of the general public.’.⁴ the Doctors code of conduct states; ‘Doctors have a responsibility to protect and promote the health of individuals and the community.’ ⁵ The responsibilities and goals between Architect and Doctors are very similar. 1. Iredale Pederson Hook. 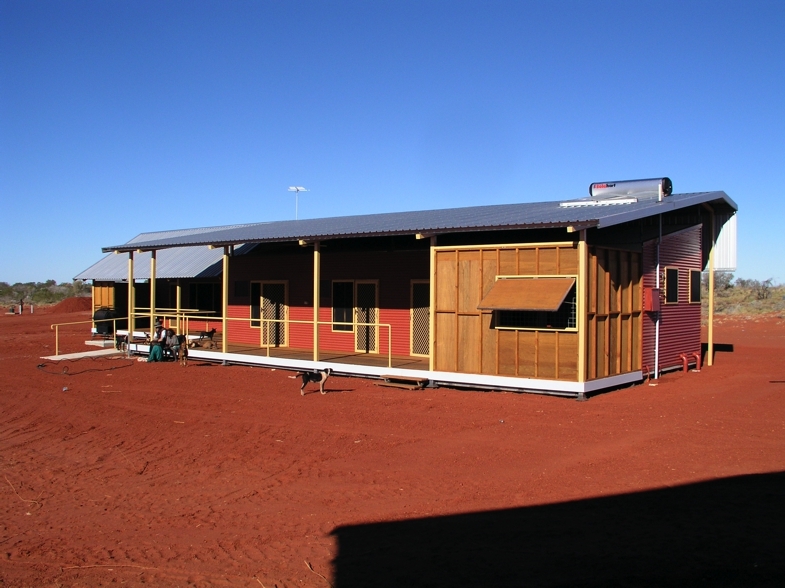 Western desert remote housing. Functional, robust healthy housing. The relationship between housing and health is well researched and documented. It shows that health quality of individuals/communities is linked to three housing factors; safety (design /structural form), affordability and security. Poor quality housing can lead to physical and mental illness due to factors such as indoor air pollution, temperature extremes, inadequate ventilation, poor planning and social isolation. In addition, poor housing design choices can cause further difficulties for people who are already unwell due to other unrelated illness or trauma, or when their health needs change due to ageing. Inadequate ventilation and temperature extremes, for example, can cause respiratory illnesses such as pneumonia, the spread of airborne infection, allergies, asthma and dehydration. 2.3. Poor ventilation, accumulation of moisture, causing mould on window coverings. 4. Poor spatial design, infection control issues, clean and dirty in same confined area. A colleague who is a hospital in the home nurse recently observed that when visiting people who were housebound with an illness many spend most of the day either in their bedroom or living area. He had noted how many houses he visits have little natural lighting, limited views to nature and poor natural ventilation. These conditions did nothing to support their mental health. Another observation was that due to safety concerns people often would not open windows and doors, and due to their economic situation was such that they were unable to afford cooling and heating. The air quality and internal temperature was therefore uncomfortable and not conducive to improving their already compromised health. There is the saying, ’form follows funding’ and you don’t need to look far for this to ring true. Most architects and building designers are constrained by, clients’ needs and demands, time and budgets. Tanya Ring explained the project management triangle which comprises, time, money and quality. She suggested that ‘architects need to advocate for the quality’. This emphasis will ensure that occupant’s quality of health is not negatively affected but hopefully positively affected by their built surrounds. This means writing quality into a brief, or if money talks then promote the economic benefits of quality. For example, long-term robustness, longer life, and fewer maintenance requirements. 5. Apartment living, Melbourne 59 m2 for 2 bedrooms. Developers and real estate agents are selling us the dream for financial gain, we are told what we want to live in, and how we want it designed and good quality, as the City of Melbourne study showed, is not a high priority. For the status quo to change, the focus of housing delivery needs to start changing from a commodity to livability. Is this difficult to achieve in our society? Does there need governing policies to set design standards, such as the Office of the Government Architects design code ‘Apartment Design’?⁹ And would implementing more housing design standards lead to the planning approval of only quality projects? Do we actually want their housing dream? The Nightingale project is a good example of architects playing a role in providing safe, affordable and high-quality housing. Architects drive the project and they maintain a focus on creating livable buildings. The Nightingale model focuses on affordability, sustainability, transparency, deliberate design-buyer engagement, and community contribution. 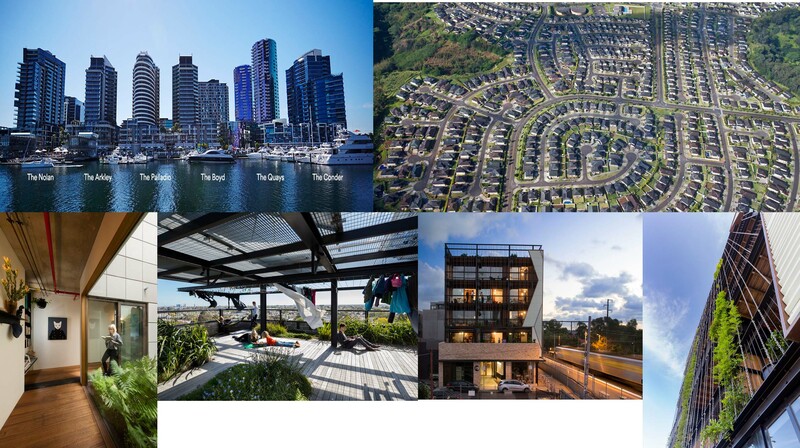 The difference is the developments are owner-occupied focused, not profit driven and for investment purposes.¹⁰ This is what ‘Architecture,’ is or should be; ‘playing a significant role in improving social inclusion and, in turn, health outcomes in our communities’. Top left clockwise: 6.7 The dream being sold , the choice is here in ‘The Palladio or out in the suburbs in ‘The Azure’. 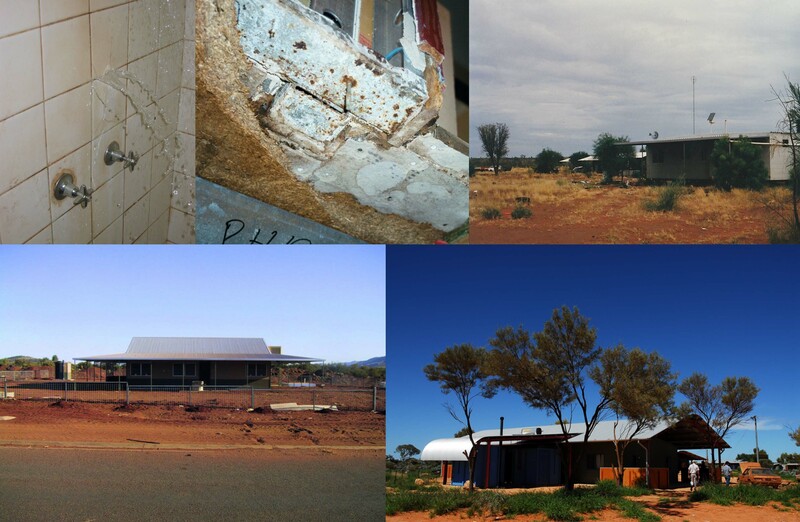 Poor housing design, quality, high prices and social isolation, no community connection. A factor contributing to physical and mental health illness. 8-11. The Commons facade, Melbourne, The Commons, The Commons, Communal laundry, Interior. Good design examples; appropriate orientation and ventilation there is no air conditioning, no ceilings increases room volume, common space promotes social interaction with neighbours. No car parking promoting the use of alternative forms of transport. We all deserve to live in a safe, affordable and secure home, it’s good for your health. Architects should not underestimate the part they play in promoting and protecting health. Even if they are not directly involved in the design and construction of projects, for example, estate housing or apartments, they can be advocates and lobby for the improvement of quality through the implementation of design standards or guides, be involved with restructuring the housing market, continue to emphasise the importance of good evidence-based design in education and in the industry. This all plays a part in preventing the people upstream from falling into the river. 2 World Health Organisation. WHO | Frequently asked questions. 10. Nightingale. Nightingale housing. http://nightingalehousing.org/ Accessed 22/05/2018. 5. Abraham, Craig. 29 August 2016. 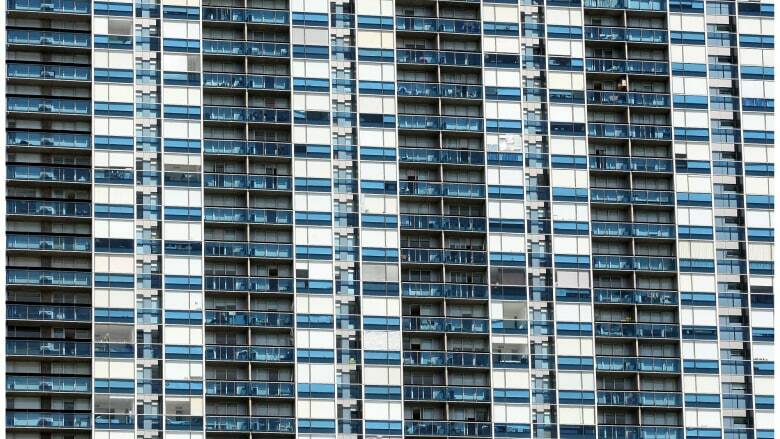 “High-rise apartments are bad to live in and bad for society, says respected architect.” The Age. https://www.theage.com.au/national/victoria/highrise-apartments-are-bad-to-live-in-and-bad-for-society-says-respected-architect-20160829-gr39nf.html. 6. n.d. “Apartments Docklands_Newquay.” Accessed May 25, 2018. http://www.newquay.com.au/live/. 7.Future Melbourne Team. 2016. “The grass isn’t greener in the outer ‘burbs.” City of Melbourne. March 11. Accessed May 2018. https://participate.melbourne.vic.gov.au/future/grass-isnt-greener-outer-burbs. 8-11. N.d. Breathe Architecture. Accessed May 2018. http://www.breathe.com.au/the-commons-1/y06x89qorgl21jp2ayk8yikrrprz0m. 12.13.. n.d. Health Habitat. Accessed May 25, 2018. http://www.housingforhealth.com/. 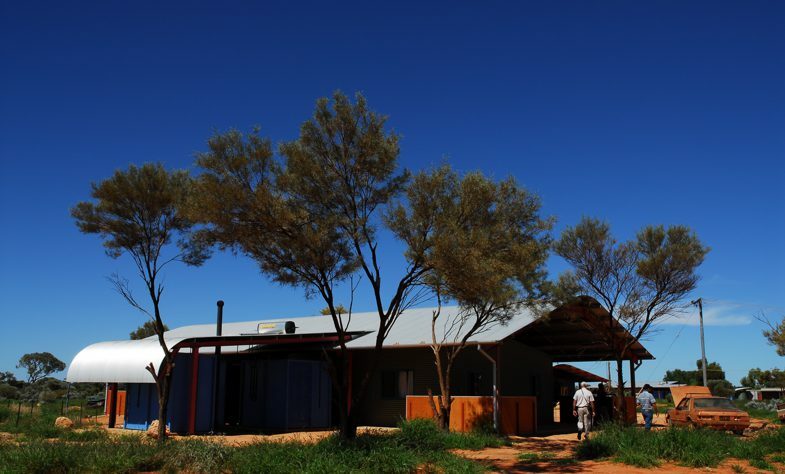 16 n.d. “tjuntjuntjarra community housing.” Iredale Pederson Hook. Accessed May 36, 2018. http://iredalepedersenhook. com/?portfolio=tjuntjuntjarra.